We couldn’t have asked for a more beautiful day on Big Hickory Island today on Sight Sea-r Cruises to enjoy the calm clear water and collect a few shells. Local girls Diane and Kristin from Naples found some shells and a SAND DOLLAR within a few minutes of hitting the beach. Matthew and Judi shelled the water’s edge to find a few keepers. I wish I had gotten a better picture of them… they were on the Sight Sea-R “Maiden Voyage” last year and I recognized them right away. So good to see again! And she was thrilled to have found a few SUNRAY VENUS, ROSE PETAL TELLINS, OLIVES, WORMIES and a sweet HORSE CONCH. It was such a pleasure to meet Sara and Brigget (TN) and talk a bit while Brigget showed me her awesome ALPHABET CONE she found in the water. Their friend Judi kept us in stitches as she propped her “Flo The Photo Bomber” on her shoulder as soon as the camera came out. Too funny! Nisse, Lynne, Scott and Brett were extremely happy to have found 4 ALPHABET CONES! Brett found 3 out of the 4 ALPHIES and a FLORIDA CONE as well! This is just some of the their favorites. The Texas cousins are baaaaack. They were on that “Maiden Voyage” too and this time decked out in bright fun colors. So good to see you again too Peggy, Pam, Debby and Pat! And so happy y’all found some fabulous shells again too. Look at those ROSE PETAL TELLINS and GAUDY NATICAS! Anne and Debbie found some great loot too. Look at these beautiful shells! Spectacsheller. One my favorite things to see… happy families enjoying the beach together. Gus, Summer, Noah, Kerri, Faith and Correy (from Palm Harbor) are shell crazy but Kerri was thrilled to have found her first 3 SEA PEARLS. Congrats! Gary and Debi (from my old stomping grounds in Va Beach) found SAND DOLLARS too and it was so muc fun to hang out and talk about my old “hood”. I loved our entire time hanging out with such a fun group of shellers like Ann from MO… and such a stunning and stylish group too. As with every iLoveShelling cruise, each passenger received a $25 gift certificate to Sealife By Congress at Congress Jewelers on Sanibel. They are so generous! Since lots of you couldn’t be with us today on this fabshellous beach, here’s a CYBERSHELLING photo with at least one little gem. PS- I still have lots of photos and info to share with you from our shelling trip to Okinawa Japan- so stay tuned. Hey Pam-I bought me a Panasonic Lumix camera to take pictures around the beaches in Panama City because your’s turn out so great. Do you ever use the artistic settings? If yes which ones? Thanks. Love those Gaudy Naticas! There are some here on Sint Eustatius, but not many. Pam ,we had the most amazing time!! It was a beautiful day. We hit Sarasota beaches later and found a huge shell pile, but I will forever remember my first sea pearls. 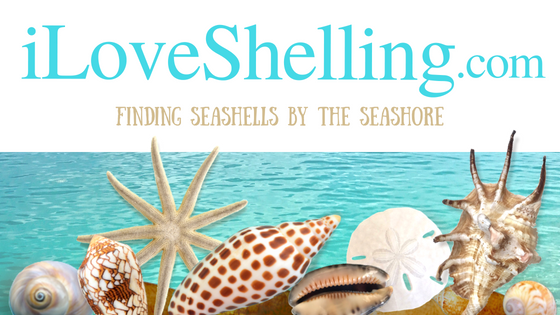 I have to say meeting you and shelling with you was on my bucket list. It was a perfect birthday gift fro my husband!! He knows shelling is a passion for me. Thanks again for the invite! It was such fun hanging out with you and your beautiful family! I must have been tired because I meant to wish you happy birthday again on this post… So better late than never…. HAPPY BIRTHDAY! Thank you Pam! Is it okay to use the photo you took on my FB page?